Standing to Sue After a Wisconsin Car Crash | Hupy and Abraham, S.C.
Do I have the right to bring a lawsuit after a Wisconsin car accident? If you were injured in a car accident that was primarily or solely caused by someone else and you are a legally competent adult, then you have the right to bring a lawsuit. You are the parent or legal guardian of a child. If you have legal custody of a child under age 18, then you may be able to pursue a lawsuit on behalf of your child to get your child fair and just compensation for her injuries. Your loved one died in the accident and you are the executor of your loved one’s estate. If you have been named as the executor in your loved one’s will or the court appoints you as executor of the estate, then you may be able to file a claim on behalf of the estate. The damages would belong to the estate and be distributed accordingly. 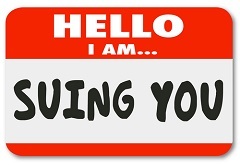 The legal right to bring a lawsuit is known as standing. If you don’t have standing and you file a lawsuit, then you should expect that the defense will argue that you lack legal standing and that the car accident case should be dismissed. To avoid this and to protect your recovery or the recovery of your loved one, please contact us directly at 1-800-800-5678.